Jay Driscoll, who has worked at St. Albans since 1991, headed the school’s Athletic Training and Sports Medicine Department for many years. In addition to heading the dorm, he serves as the director of auxiliary operations. Originally from Cape May, N.J., Mr. Driscoll graduated from the University of New Mexico. He and his wife, Lisa Rosales, have lived in the dorm fourteen years. In 2008, DeVonne Armstrong started his career on the Cathedral Close as a member of the Cathedral police. In 2010 he began coaching shot put and discus for St. Albans and NCS. He currently serves as the Auxiliary Programs assistant, head coach of Upper and Lower School wrestling, and coach of football and track and field. Originally from the metropolitan area, Coach Armstrong graduated from Methodist University, in Fayetteville, N.C. He looks forward to completing his third year in the dorm. Mireille Beuchard has taught French at St. Albans since 1992 and is both a Form IV master and the director of international programs. She has developed (at St. Albans) ongoing French exchange programs with the Lycée St. Louis de Gonzague and Lycée Stanislas, both in Paris. Prior to coming to STA, she taught throughout the Washington area, at Union School in Haiti, at the Lycée Français in Los Angeles, and in France. A native of France’s Loire Valley, she received her master’s degree from L’Université Catholique de l’Ouest, France. She loves traveling, hiking, biking, yoga, photography, literature, arts, and cooking. She and her husband, who have three grown children, are looking forward to being part of the dorm for their seventh year in a row. Mr. Bowers returns to St. Albans for a twelfth year as a member of the music faculty and associate choral director. He received a bachelor of music in vocal performance and music education in 1982 from Ashland University, in Ashland, Ohio. 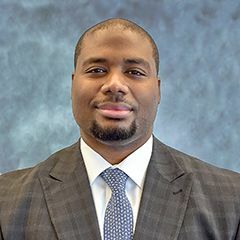 Mr. Bowers is originally from St. James, Md., and has lived in the Washington, D.C., area for most of his adult life except for three years when he lived and taught in Cairo, Egypt. A professional choir man with the Washington National Cathedral choir, he has sung for twenty years with the Washington National Opera chorus and other area professional music ensembles. Besides singing, Mr. Bowers loves being outdoors, running, and traveling. Mr. MacIntyre has been coaching football and tennis at St. Albans since 2009 and has been teaching Form I history since 2011. He and his wife, Jess MacIntyre, attended Beauvoir and then St. Albans and NCS, respectively. Mr. MacIntyre went to Colgate University in Hamilton, N.Y., where he majored in philosophy and played Division I tennis for four years. Mrs. MacIntyre attended Cornell University in Ithaca, N.Y., where she majored in human ecology and rode on the varsity equestrian team for three years. She earned her doctorate in medical and clinical psychology at the Uniformed Services University of Health Sciences. The MacIntyres, including their 4-year-old son and baby daughter, love living in the dorm and rooting hard for the Bulldogs, especially our Bulldogs in the dorm.